Winter really has come. This morning it was chilly as predicted. However, I was warm enough since I bought a new dawn jacket yesterday :D I already have one from last year but it is so large and dressy that it doesn't suit to take a packed train and go to the gym after work, so I bought a sporty one! 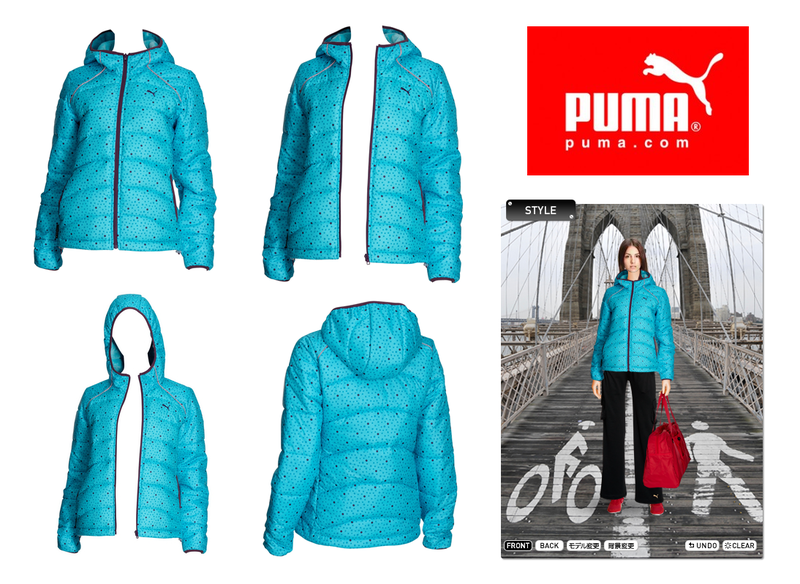 puma HYBRID Jacket #556466-03. 90% down and 10% feather. Very light and warm!!! 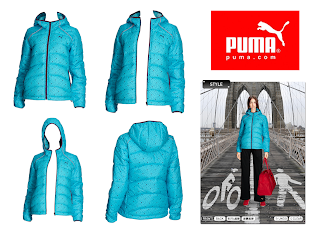 To tell the truth, puma is my favorite sport brand (because it is cute and popular among young girls) but I've never owned any of puma product until yesterday! I went for turquoise blue color because it is my second favorite color! If I want to carry fuchsia pink accessories (my first favorite color), they complement each other nicely! Yes, I bought a sports bag, too :D I couldn't find an exact image on the site but looks like the image above. Believe it or not, I used to carry my gym stuff in a shopping bag (cute one of course), so I finally bought a real bag after 2 years! haha. Unfortunately, all I bought were not on sale yet. If I want to get a discount, I had to wait till next year, so I bought them when needed. Also, I was afraid that the color I want would go out of stock. I don't really shop at list price, so that's why I'm saying this to myself. hehe. No wonder I go to the GYM tonight!